Up until yesterday the most money I have ever spent at once was my car, almost a year and a half ago. But, yesterday broke TWO records. The most cash I have ever carried around with me at one time... or maybe ever in my life combined... and the most money ever spent. His name is Señor Pingüino Vinny Van Go. (Señor Van Go for short). He is a 13 passenger 2007 Chevrolet Express Van. 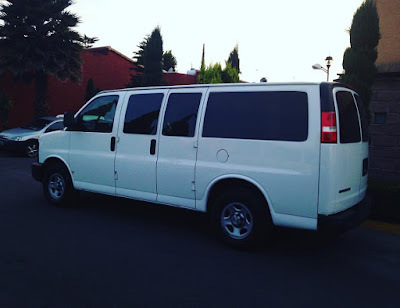 His purpose in life: Haul interns and groups all around Mexico starting in just two weeks! Now on to get him licensed, insured, verified, his oil changed and new tires! Summer 2016 seems to be coming faster than all the other summers... because well, its starting an entire month early! At the beginning of May I will have five people coming from Simpson University as part of the WorldServe program. 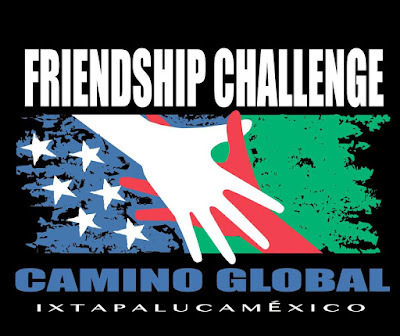 Plus, one Camino Global intern! 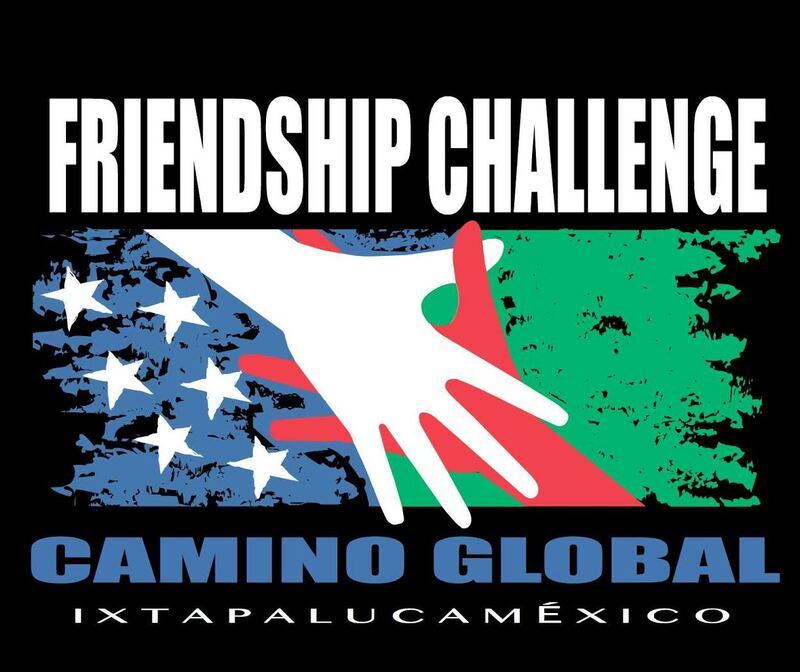 In June and July, Four more Camino Global interns will be here serving along side whatever is going on here. We also have several groups! - A group from Pennsylvania in June. They came last year and we are super excited to have them back! They will be here for a week in mid-june. - A group from Indiana- some of my favorite people ever- will be here for two weeks at the end of June and beginning of July. - A group from California... a group of 40! A choir, actually. They will be here the day after the Indiana group leaves! They will be performing all over the place. - And another group from Pennsylvania at the very end of July to the beginning of August. They will be helping with Kids club. Plus... of course, several different visitors at different times. It will be a busy summer, with lots of activities... it will be the craziest summer since I have been here.. classes, helping at the old folks shelter, orphanage, projects, women's retreat, soccer tournaments, a forth of July trip to Amealco, etc. etc. etc. Above is our logo for the summer, and the theme for a rally at a local school. It represents the US flag on one side and the Mexican on the other. We may be from different countries and speak different languages but we can be friends. We are all made by the same God! Please be in prayer for the summer. - Pray that we take every opportunity that God places in front of us as an opportunity to share the Love of God. - Pray for the travels of all the groups, interns and individuals. - Pray for health and rest for everyone. - Pray for the attitudes for everyone (including me!) when times are tiring and very little down time. Anyways, I am entering the last summer here in Ixtapaluca. (more about this crazy summer another time). 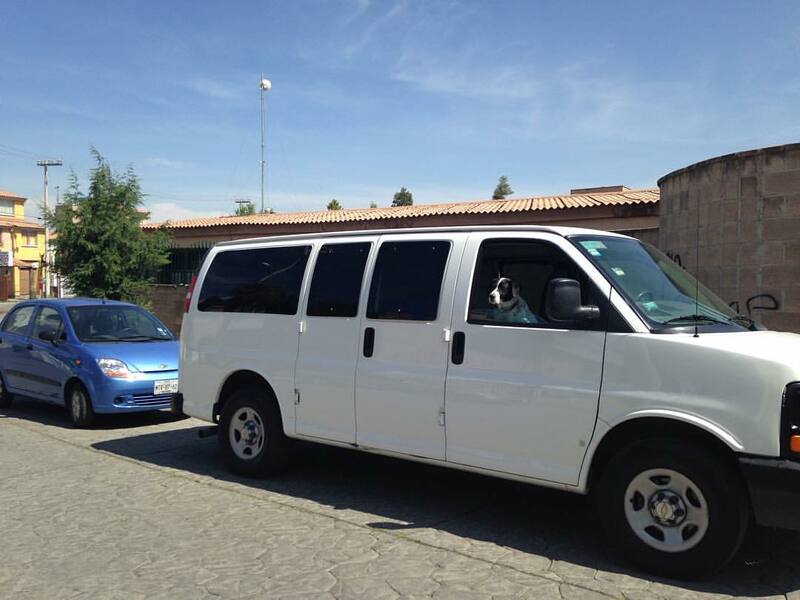 In August, I will be moving to Amealco in the state of Queretaro. Well, it is time for a new adventure! =0) In August, I will have been in Mexico FIVE years (can you believe it?! 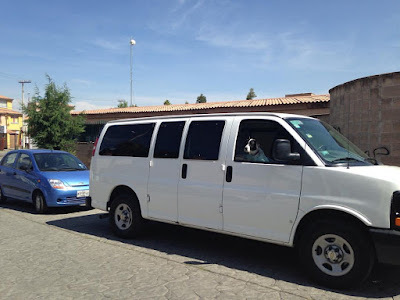 ), I have spent the entire time here in Ixtapaluca. 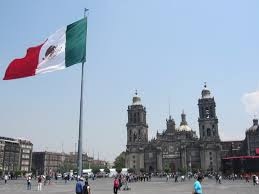 I have been blessed to learn and experience Mexico missions here. I have been fortunate to have made friends, that I believe will last a life time. But, I have felt God making it clear that it is time. Time to experience something new and different. Time to do what we do here in another area. Time for new. Well, for the most part, my ministry will look similar. I still want to do community center, community outreach, helping wherever in whatever area God lays in my path. The details of all of that is still unknown for the most part. I will be spending some of the fall seeing where God wants me to serve. I will, of course, be doing this as part of a church plant, just like here. I will also continue the ministry with groups and interns. 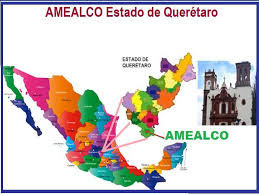 Where is Amealco, you ask? I am very excited to see how God is going to use me in the next few years in Amealco. God is already opening doors and providing opportunities to serve. - Pray for the transition from big city to small town. And the emotions that come with transitions. - Pray that I am able to finish well here in Ixtapaluca, and that we have a great summer with many people coming to know the Lord. - Pray that God would provide the right house in Amealco. - Pray for new contacts, friends and ministries in the new area. As the time gets closer, I will be writing more about, well everything. But, for now, I appreciate your prayers and support! If you have any questions or want to join my prayer/support team, send me an e-mail! I’m pretty sure if I was Jeremiah, I would have had a hard time not giving up. Poor guy, was just trying to be obedient and speak the words the Lord has given him for the people of Judah. Of course, they were not really comforting words; he was telling the upcoming God’s judgment on the people, trying and trying to get them to come back to their Father. He was describing their coming captivity in Babylon and God’s anger poured out. This wasn’t just a message for a few days, a few weeks even. Jeremiah was doing this for years. People wouldn’t listen, they threw him out ... they beat him up. I am sure there are many many people asking this as they face the world today. Why did this earthquake happen? This famine is unfair? Why is my mom sick? Did a child have to die? But Jeremiah wasn’t done. “But if I say, ‘I will not mention him or speak any more in his name’, his word is in my heart like a fire, a fire shut up in my bones. I am weary of holding it in, indeed I cannot” (verse 9). Everyone gets to this point. It can be a physical illness, emotional boat boat-rocking or whatever. When we feel as though we don't have the fire in our bones, like Jeremiah. But, when I feel like this... I want it, I want that fire. We may not be prophets like Jeremiah, and our hardships might not look like his, but are we willing to keep going, to keep proclaiming Truth when persecution comes or discouragement knocks us down? Do the hope and joy of Jesus burn like a fire deep in our bones so that we MUST speak, we must love and show compassion no matter where we are? Lord, let it be so in me. I realize that I am unaware of so much bad in the world, but I am aware of a lot of it! It is hard to have peace when knowing about the bad... the corruption, the sad stories of orphans, the heart breaking tales of people left to die, the small children or pregnant women being taken to be trafficked. Its hard not to be overwhelmed with the feeling of wanting, desperately, to help everyone... to fix everything. I pray for this country (and lots of other countries too). I pray that God will be magnified here, that His light will shine, that people will turn to Him no matter how hardened their hearts are or what chains are holding them. I do believe that God is doing big things in Mexico. I have seen little glimpses of it. He has a plan. It is all in His timing. And, I have faith that things will change.